Honeymoon, no doubt is your lifetime recollection, therefore, a couple look for the perfect places to spend their golden period of life, for this it is undoubtedly that Nepal could be the best option or best place for having honeymoon trip. We, the team of Adventure Gaurishankar Pvt. Ltd has long been offering the best and the complete services needed for spending time in the comfort zone, in a peace, serenity and heavenly places. There are such an intoxicating places to spend your honeymoon, either within Kathmandu valley, or its adjoining places like Dhulikhel, Nagarkot, or in Chitwan, Pokhara or Lumbini, these places are best suits for couples who wish to spend the nights and days in peace and serenity, while exploring the amazing scenes and sceneries of the lofty mountains, exploring of diverse flora and fauna or organizing of relax kind of sport such as boating, elephant ride and jungle safari in Chitwan, you also can have boating and equally, paragliding, or exploring of mysterious caves and taking beautiful snaps with the backdrop of the majestic mountain in Pokhara, Nagarkot and Dhulikhel and equally having amazing sunset and sunrise views with the backdrop of mountains. There are much needed seclusion, a splash of luxury with comfortable surroundings and no doubt the fragrant winds emanating from white-mountains covered alongside of the adjoining hills of the valley, and no doubt enjoy with the serenity, amazing landscapes and more. Therefore, why Nepal has been paradise and one of the ultimate destination for honeymoon tour in recent days, as there are ample of such serene and comfortable place to relax, spend quality time, and make a plan for your long journey of life. For instance, in Chitwan, where you will have an opportunity to spend the quality time in luch jungle exploring of birds where you will be amazed and enjoy with the chirping of birds and their sounds like a song. You will have elephant ride and go for long journey soothing in the sun and taking of snaps of yourself and of birds, animals and more. All these offer you a kind of ecstasy and fantastic moment to remember in your lifetime. You also can wander into the wilds, go for jeep ride, and go for amazing traditional wood boating, all these offer you the best time and best place to spend your honeymoon and make your trip a memorable and worth-sharing in your lifetime. Day 01:Arrival at Kathmandu and Transfer to Hotel. Day 02:Kathmandu Valley sightseeing (Swoyambhunath Temple, Patan Durbar Square, Pashupatinath Temple and Bhoudhanath and Overnight at Hotel. Day 03:Nagarkot, After Breakfast we will drive to Nagarkot. We stop at Bhaktapur for visiting city. Then after we will go to Nagarkot. We will sunset view from Hotel. Day 04:Free day in Nagarkot and in Afternoon return to Kathmandu over night at Kathmandu. Day 08:Drive to Pokhara Over night at Hotel. Day 09:visit to Sarangkot for sunrise view, sightseeing in Pokhara City, boating in Fewa Lake. Day 11:Morning we take you for mountain flight and Evening candle light dinner (Typical Nepali food with culture show. Day 01Arrival at Kathmandu and Transfer to Hotel. Day 02Kathmandu Valley sightseeing (Swoyambhunath Temple, Patan Durbar Square, Pashupatinath Temple and Bhoudhanath and Overnight at Hotel. Day 03Nagarkot, After Breakfast we will drive to Nagarkot. We stop at Bhaktapur for visiting city. Then after we will go to Nagarkot. We will sunset view from Hotel. Day 04Free day in Nagarkot and in Afternoon return to Kathmandu over night at Kathmandu. Day 08Drive to Pokhara Over night at Hotel. 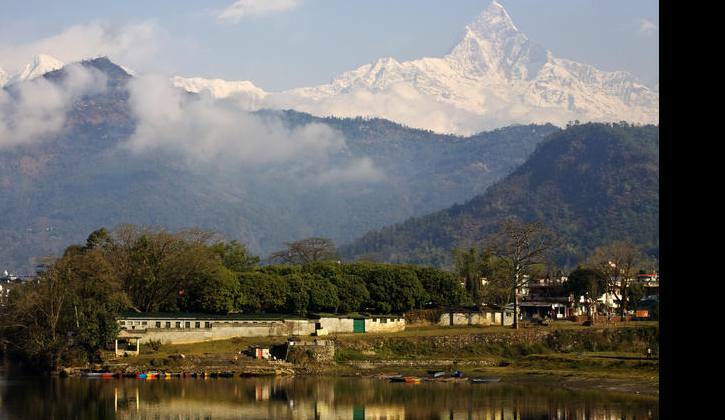 Day 09visit to Sarangkot for sunrise view, sightseeing in Pokhara City, boating in Fewa Lake. Day 11Morning we take you for mountain flight and Evening candle light dinner (Typical Nepali food with culture show. Please, or contact us for cost and necessary support.